Home Addiction Addiction: Is it About the Drugs or Something Else? Addiction. That word holds a lot of baggage for many people. Broken relationships, missed opportunities and pointed fingers. But the addict isn’t always the one to blame. Doctors are reporting that undiagnosed mental issues and trauma might be the real recipe for addiction. In 2001, while facing drug charges after violating house arrest orders, MLB All-Star Darryl Strawberry said, “My brain is broken. I have never quit trying to fight the demons, and I won’t quit trying to fight the demons. I do care about recovering. I don’t know why I go out and use drugs. I don’t know what happens to me.” Darryl Strawberry was a baseball icon, yet addiction almost ruined his career. It doesn’t matter who you are; everyone is susceptible to addiction. The desire for recovery can be strong. However, addictive tendencies and a need for relief are strong, too. Oftentimes the addict has to deal with an inner battle between the two opposing forces. When taking a painkiller relieves undiagnosed anxiety or depression, which a person does not even realize that he or she has, becoming addicted can be very easy. Sometimes people function with anxiety or depression, but do not even realize they feel bad until that feeling has been lifted. A taste of relief can be very powerful. While not all people who suffer from depression or anxiety will become addicts, having issues such as these can lead to addiction in some, a condition referred to as co-morbidity. Doctors, researchers and psychologists continue to investigate addiction so they can help people better. One thing they all agree on is that addiction is a complex, chronic condition. It is not something that can be simply overcome with willpower. Because of this, people living with addiction may feel confused, overwhelmed or frustrated. Additionally, the families and friends of people living with addiction may also feel worried, overwhelmed and frustrated. 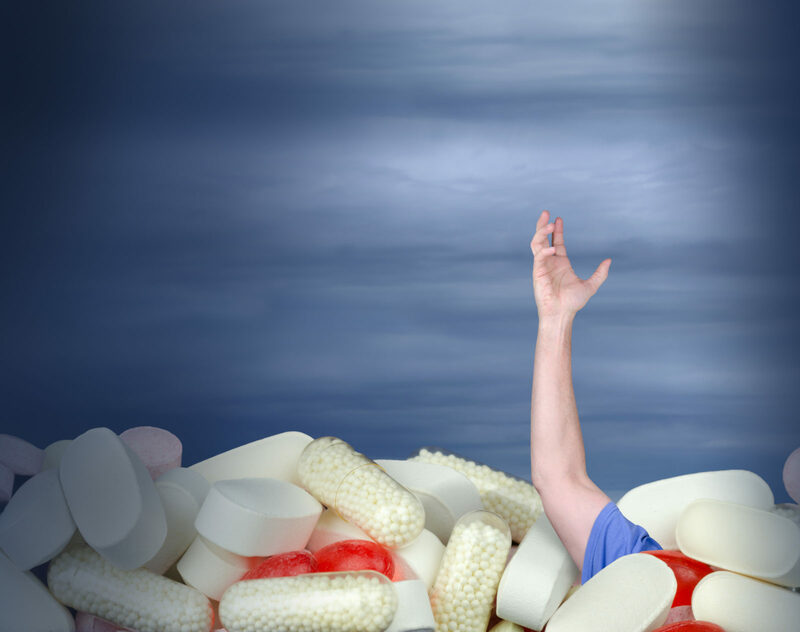 Recently, the opioid epidemic has caused widespread panic over doctors prescribing painkillers. These issues often occur alongside an addiction, and need to be addressed individually to holistically address addictive behaviors. As with any medical condition, it’s important to have the information you need, so you can start your path to a healthier, happier life. The first step is recognizing that you or your loved one may have a problem with addiction, and the next step is seeking help. While it may be scary or hard to ask for help, it’s a necessary step toward feeling better.